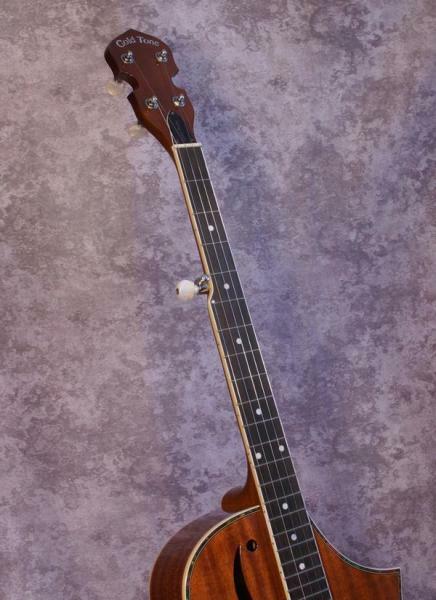 The love child of a dobro and a banjo: a banjo with a resonator and a wooden body. Funky and cool! 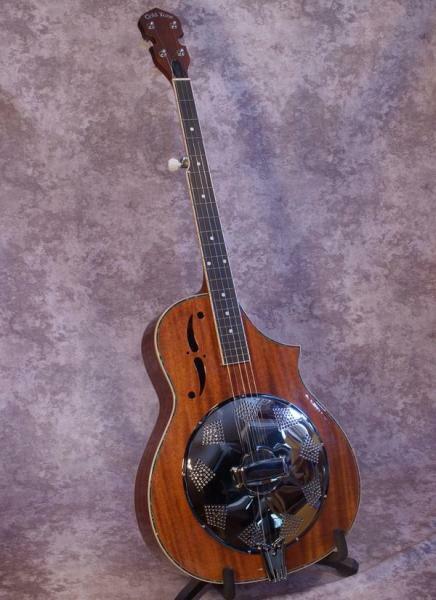 Tuned and played like a banjo but the resonator gives the tone a twangy edge, great for blues and/or oldtime music.